Rescue Remedies has been operating for 15 years with no paid staff, run by volunteers from all walks of life. We all invest our own time and money in our rescue dogs and have many people such as yourselves set up standing orders to support our dogs. We don’t have a Rescue Centre as such but our Gatwick kennels are owned by our founder and open all hours with fantastic therapy work going on with our dogs. , We don’t have office or a call centre; just dedicated admin volunteers, dog walkers, fosterers and our homing team processing applications and liaising with families from their own homes. We are internet based and can only accept applications/ dog enquiries via our online Homing Questionnaire which gives us the basis to discuss appropriate dogs. We do have general enquiries@rescueremedies.co.uk for other than homing applications. Each dog has its own thread on our forumwww.rescueremediesdogrescue.co.uk : Volunteers add to them with updates whilst with us including pictures and videos taken on walks, days out and in foster homes. You will see how a dog gains in confidence and health during their stay with our Rescue, and provide information about the dog and insights into their character for people to view from different peoples perspective. Our Forum has 2000 members and many more viewing as its open to the public and linked through from our websites. We have Facebook pages for each of our websites to promote our dogs further and to share the joy when our dogs find their families. We serve 100 dogs at any one time www.rescueremedies.co.uk is our umbrella website with 30% of our dogs on. We have our other dogs on 4 specialist websites www.terrierrescue.co.uk www.staffierescue.co.uk www.patterdaleterrierrescue.co.uk and www.ambulldogrescue.co.uk Relax and browse our websites, then click through on to our dogs actual Forum threads: They are full of information, tips and guidance to help you in finding your dog, helping your dog find its new home or offering you the opportunity to help homeless dogs. 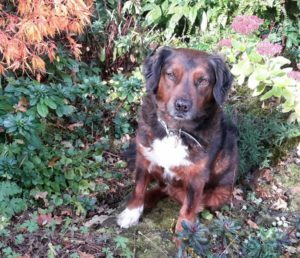 xxlynne started in 2002 by fostering for a North London Rescue and rehabilitating ex-breeding kennel dogs and preparing them for their first homes. She advertised in local papers and built up a network of contacts within the Rescue world. In 2004 xxlynne and Joanne (now working within wildlife rescue) and I flew over to Ireland to rescue dogs from death row pounds, later arranging to collect them from a volunteer transporter weekly, saving as many as we could. We also helped dogs we were approached about and began taking more and more dogs into our homes as did others who agreed to foster. We were supported by four local vet surgeries and could not have helped the number of dogs we did, without their financial support and trusting their treatment of some quite neglected, ill and disadvantaged dogs. They became part of our Team. Fosterers so often fall deeply in love with their dogs and become homers! 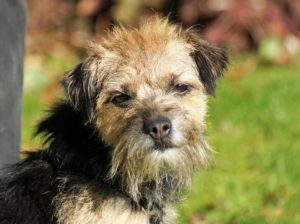 I have always had terriers and set up specialist rescue work with ‘working type’ terriers, and a website www.terrierrescue.co.uk in 2005. In 2006 we agreed to help four seven-month-old Staffie cross pups who were seriously ill. We founded Rescue Remedies to raise money to pay their high vet bills and we are happy to say all survived and Rescue Remedies was born. www.rescueremedies.co.uk was launched that year. We began to help Welsh dogs as they were also in great need and transport was easier to arrange to optimise rescue spaces as they arose. As time has gone by, we have focused more and more on helping local dogs as well as Welsh dogs. We work closely with Battersea and rescues around the South East, sharing good homes and always putting each dog’s needs first. We have helped many Staffies over the years and grown to know and love them. Staffies are the one breed which needs most help and are very misunderstood by the press and general public. 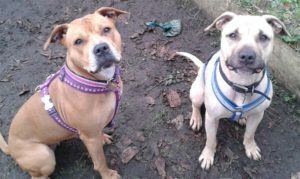 So in 2009 we set up www.staffierescue.co.uk. How do we find our dogs? We work closely with many rescues and are alerted to dogs needing a rescue place, or they give our details to people needing to rehome their dog. We are in the Kennel Club Breed Rescue Directory for Lakeland and Irish terriers. 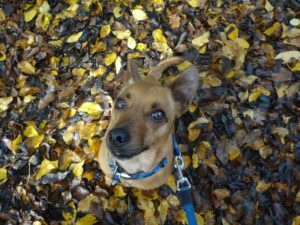 We are known to be there for Fell/Patterdale terriers. Many vets find us through directories. We take most of our dogs from death row, in council pounds who have run out of time and are in desperate need of a rescue place. We work with our dogs to support them in reclaiming good health, being ‘freed’ by neutering and building confidence to achieve maturation and a well-balanced temperament. Our whole reason for being is to find homes for as many rescue dogs as we can providing them with care and love while they are waiting however long that takes. As a rescue we have chosen to focus on breeds that are notoriously difficult to re-home because of the bad press they have received. We see the reality behind the hype that these dogs are not inherently bad but have often been very badly treated and many are frightened lost souls when they come to us. In our considerable experience with time, love, patience and understanding these dogs can and do make wonderful pets despite the terrible start in life some have endured at people’s hands. Our dogs come first in all that we do and we aim to provide a caring professionally run rescue that is largely self funded. We try not to discriminate adversely in terms of age, health, disability or breed type. We will take dogs on first and work out how to pay later. We are so grateful for the support we receive from so many people in so many ways. We have nothing in the bank … we live from month to month in hope. We do not have the luxury of time to keep in touch or follow through as we would wish, but are delighted to hear from our friends. We are always meeting the demands of the next dog needing our help. The key principals we excel in are accepting dogs with more difficult backgrounds. We are not so interested in ‘numbers’ i.e. coming forward for the easy to home dogs. We place our dogs in good homes which should provide them with stability for the rest of their lives. We apply in-depth scrutiny in vetting our homes and do not sacrifice our principals in the face of stress and adversity. We offer enduring support as required and “back- up for life” to our dogs. If you home one of our dogs you are our friend for life! As a rescue we will stick by our dogs through whatever it takes to secure them their forever home. We will provide care and love to all our dogs whilst they are with us and apply a rigorous process to securing them the right home. 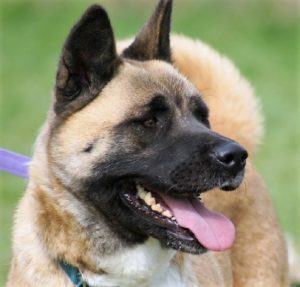 In the event that a homing proves unsuccessful despite our best endeavours we will welcome our dog back with open arms and try even harder to find the right home for them. We will be driven first and foremost by our dogs needs and not by what we can afford, we will always find the money to cover unexpected veterinary bills. We will run a professional rescue and take all practical and reasonable steps to ensure volunteer’s safety and on-line security subject to following our procedures and those of the kennels we use. We will provide internet based tools to facilitate open communication between our members and help foster a sense of community amongst our membership. We will provide training and support to new volunteers as required. Every penny you kindly donate will be spent on our lovely dogs and if you are a UK tax payer we will maximise your donation if you will kindly complete a gift aid declaration. Subject to your patience, understanding and open mindedness we will work with you to find the right dog for you and provide you with an honest assessment of that dog’s needs and guidance about meeting them. We will provide open access to our web sites and on-line forum where you will find up to date information and news about each of our dogs along with the information and forms you will need to volunteer, and/or donate. We will also provide sections in the web site relating to fostering and homing and general advice and guidance about dog welfare and legislation. Many of our dogs have gone through cruelty and neglect at the hands of our society before they arrive with us and we do our utmost to welcome them into our fold and gain their trust. You need only look at dog’s threads on our forum to see the love that our volunteers freely give and the close relationships they develop with our dogs. Just as our dogs don’t judge us so we try hard not to judge them and to help them flourish and shine. In our world there are no lost causes.